Join us for a voyage that challenges you with overnight sailing and longer passages. Get Ready For Your Sailing Challenge! Join us for a bucket list sailing adventure. Start your trip off with training and familiarisation on our round the world racer. With individual bunks and storage space allocated it won't take long to settle in. Once watches are allocated and the voyage starts you can expect to be as involved as you are comfortable with. Take part in watches, helming, navigation, trimming and, of course, keeping everyone fed in the galley! We take care of all the planning so you just need to turn up, get ready and go! With our challenge voyages normally involving a number of overnight sails you can expect to be challenged and be rewarded. Night sailing holds some of the most rewarding views on the ocean. Of course, making landfall after achieving hundreds or even thousands of miles at sea is, in itself a great achievement. 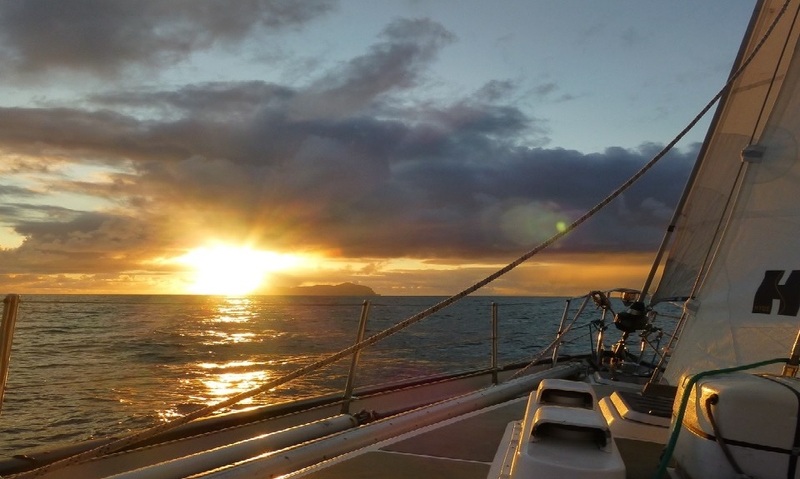 Our challenge voyages often allow up to two crew to undertake their RYA Ocean qualifying passage. If you want to know more about the requirements follow the link below to the RYA website. *Note Ocean Sailing Scotland are not responsible for the content of external websites. Join us from Oban in 2019 for our annual pilgrimage to St. Kilda. Heading out of Oban we will cruise to the Isle of Mull and Tobermory after some familiarisation, safety and ocean training. Then it is a watch on the weather to decide when is best to head for the stunning archipelago of St. Kilda and, hopefully some time ashore. With plenty of amazing islands, bays and coastal gems to visit on the way there (or back), and the occasional distillery, the skippers hardest job will be to shuffle everything around the options! A "rare" north atlantic sunset in flat calm eerie seas! Join us as Taeping heads out from Scotlands west coast to start our North Atlantic circuit in 2019. Departing from Oban you can expect to enjoy some time getting into the swing of things and completing ocean training before heading out into the North Atlantic. As you watch the land slip away behind you and after three to five days at sea it will not be long before the capital of Iceland, Rekjavik comes into view. With night sails and a watch rotation in place we will be hoping for amazing skies and passing wildlife on our ocean passage. 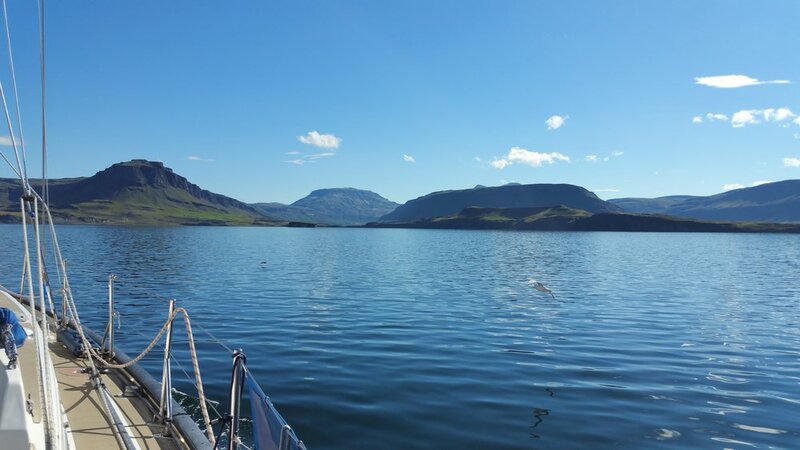 Long hours of daylight, stunning Fjords and sailing in the Arctic circle, this trip is all about tick box sailing. Start off your adventure in Iceland’s capital, Reykjavik as we sail Iceland’s west coast and take in the stunning North West Fjords. Sailing into the Arctic Circle your adventure will take you along Iceland’s North coast, exploring, learning and enjoying. Next it will time to head back out of the Arctic Circle and aim for the Faroe Islands and some night sailing on our ocean racing yacht. Island hopping, a canal transit and Scotland’s west coast, this trip has it all. 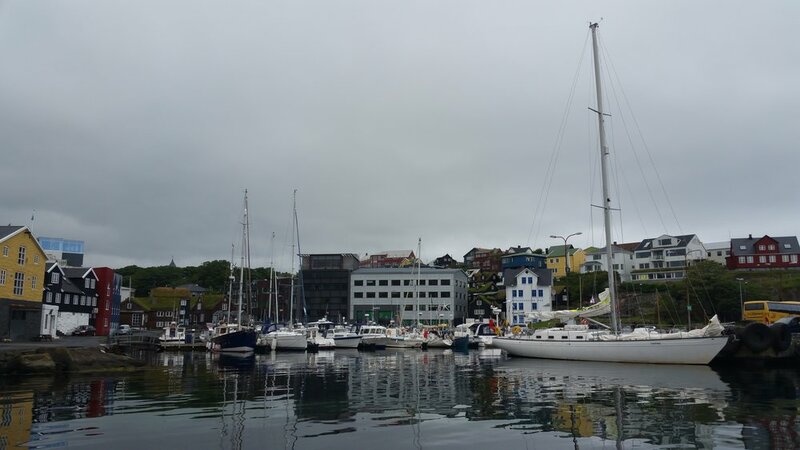 Even better this trip will see some night sailing as we take in some longer passages as we sail what we like to call the Torshavn triangle! With the Faroes, Shetland, Orkney and the Caledonian canal to enjoy this is a packed trip taking in some of the most spectacular scenery North of the South! Join our ocean racing yacht for this amazing Island Hopping adventure. Join us on our ocean racing yacht as we embark on a unique adventure to the UK’s most westerly point of land, made famous in marine weather forecasts, Rockall. Heading out from Oban on Scotland’s stunning west coast you can expect to spend some time exploring and getting settled into life on our Clipper 60. With skipper carefully watching the weather for a good window to head out the 200Nm to Rockall the North Atlantic will beckon. Returning through Whisky country and the famous Mull of Kintyre it won’t be long before you are cruising in the coastal waters of the Firth of Clyde and heading for Taeping’s home at Kip Marina!